Lincoln Heating & Air Conditioning Reno has been serving Reno and Sparks families for over 20 years. We constantly match our high quality service with the highest quality of customer satisfaction. Give us a call at 775-359-1985 for not only a free quote but a chance to make you part of the Lincoln heating and air family. We promise to under promise and over deliver. We want to make sure that our name is synonymous with not only hard work but good quality work at an affordable price. Northern Nevada is our home. So lets keep your home the right temperature. One of the worst things that can happen in Reno during the winter time. Is to have your heater go out on you. But do not fret! We are here to help you decide on whether you need a new one or yours can simply be repaired. Nothing can be more frustrating than having a pushy salesmen try and sell you something you do not need. We promise to take the time to not only access what is wrong but explain it to you and why you may only need a repair or a new heater. We have all felt it before. The bittersweet bite of summer coming from around the corner. Going from pleasant days that you find yourself reading in the sun to finding yourself hating the sun and wondering how it became so hot. One of the worste case scenarios that you can find yourself in is getting home from a long day at work. Turning the AC on and finding it either not working or even blowing more hot air at you! Call Lincoln Heating and air to come out to your house and offer a free consultation and tell you what is goign wrong. It could be air conditioning unit repair or something like a mild repair on your exisiting unit. Give us a call today at 775-359-1985. Abraham Lincoln encouraged us all to reach our potential when he said. “whatever you are, be a good one.” As a company, we strive to follow his advice. 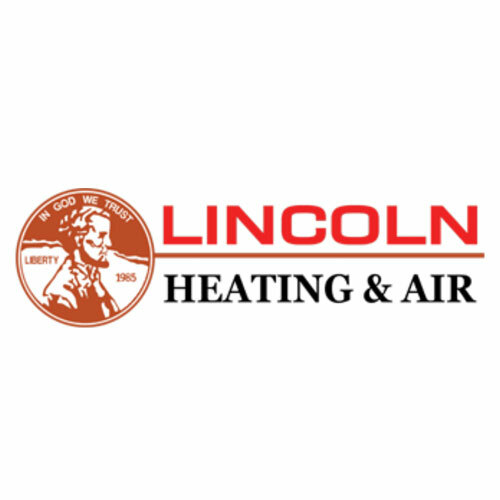 That, and coupled with hard work, integrity, and ensuring that our customers get the best deal possible has in fact made Lincoln Heating a “a good one”, in fact, it has made Lincoln Heating the best! That is why the Nevada Small Business Administration has named us Family Owned Small Business of the year 2016.